Riding your bike to work is one of the best thing you can do to improve health and mood, plus, you will not miss morning traffic jam and never have to worry about a parking spot again. 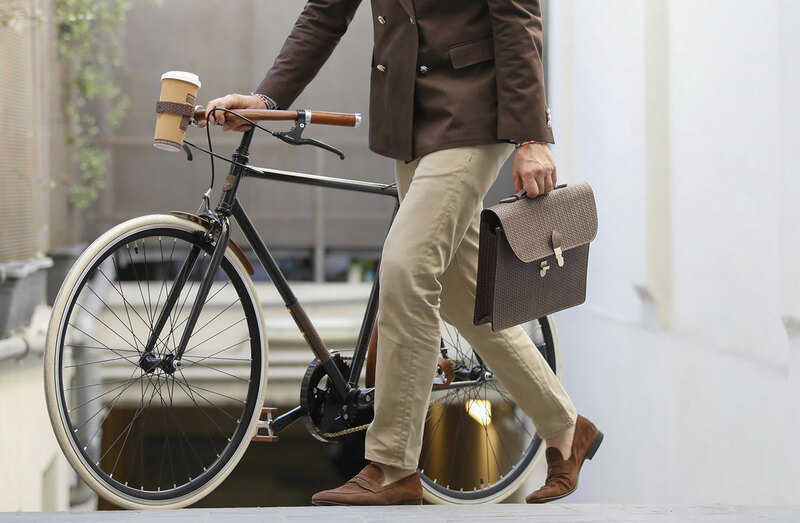 Our classic commuter city bikes will allow you to do so, looking all stylish and ready for any appointment in your daily schedule. To make your riding even more pleasant and nicen up your commuting bicycle, we have designed a practical yet cool accessory: the Libeccio leather bike frame bag. 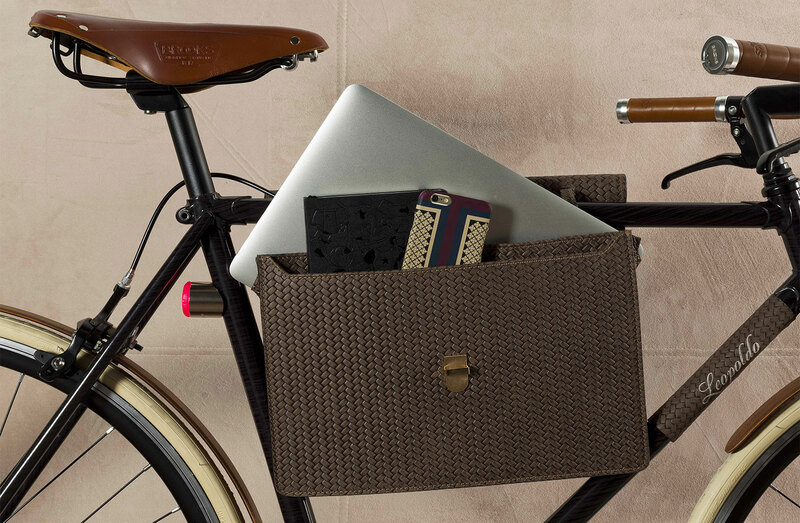 Safely carry a notebook or paperwork when commuting by bike might be challenging. Sure you can wear a messenger bag or a backpack, which means giving up on style. 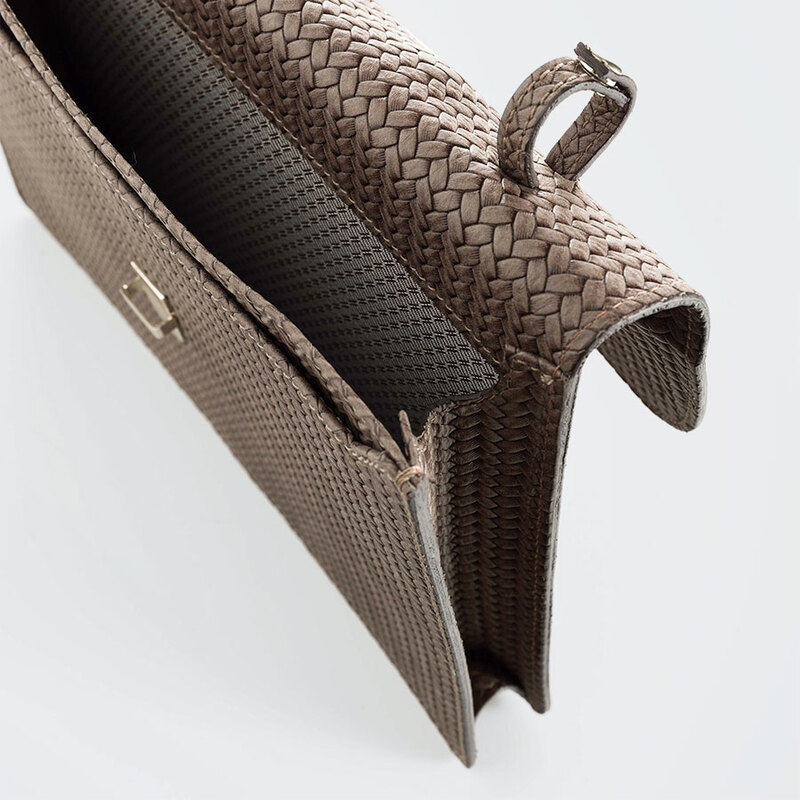 It is keeping in mind comfort, functionality, and thinking of a busy urban man, that we created Libeccio. 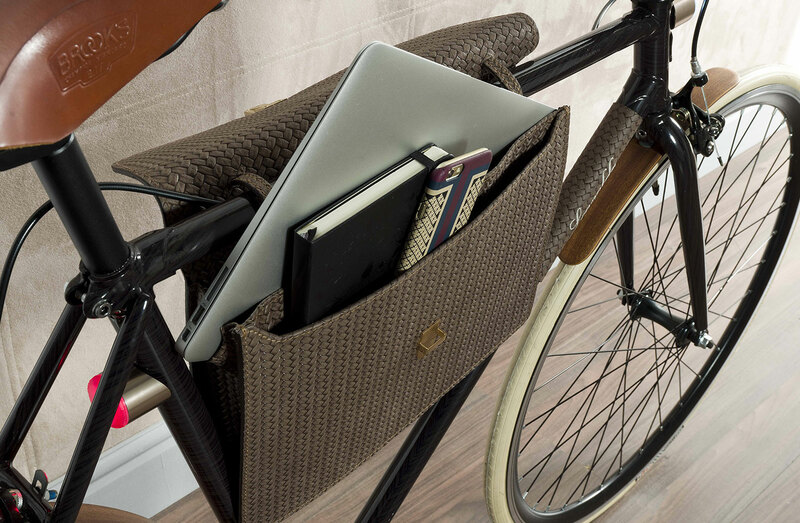 This laptop frame bag allows you to put your stuff safely between your legs. Installing it is simple: just wrap it around the frame and use the inside leather fastening to secure it to the top tube. 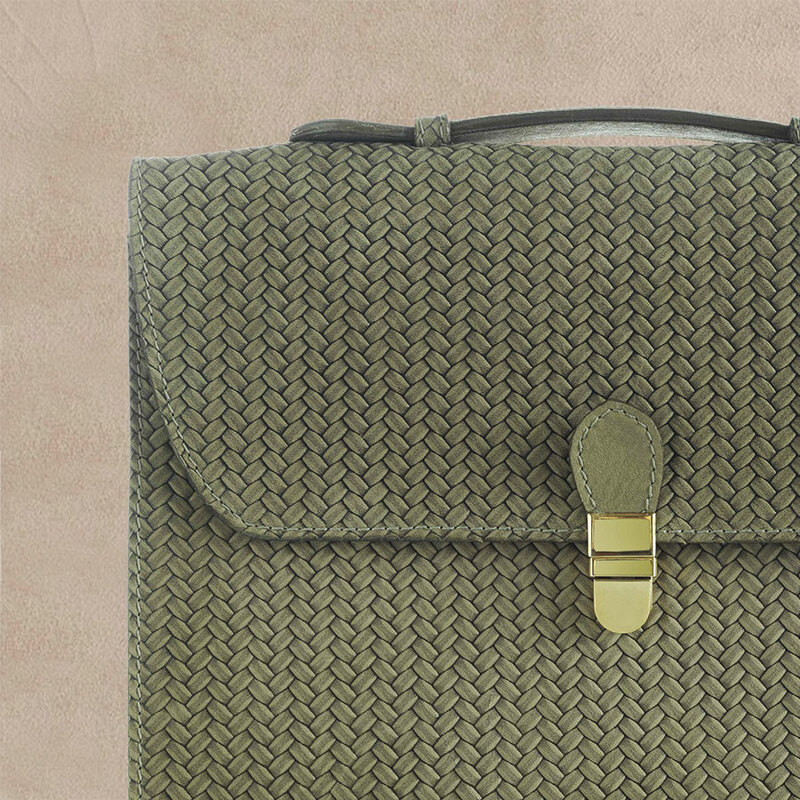 Ideal storage for notebooks and tablets, it converts to a stylish A4 documents folder for impromptu meetings, to a portfolio bag or a briefcase to carry to the office. Meetings, interviews, brainstorming sessions: unlace the leather straps and get ready to get through all your appointments with an impeccable outfit. 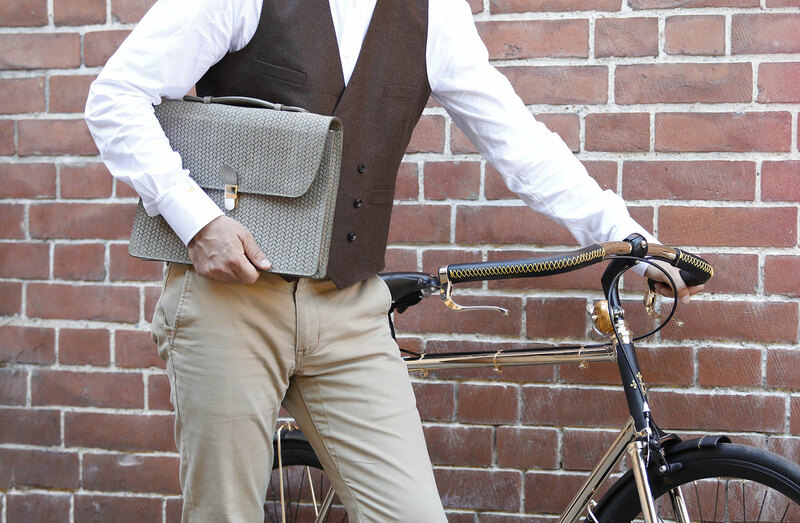 This timeless bike briefcase features a foldover front with a little golden lock. Carry it in the hand using the top handle. Made of leather, will form to your hand the more you use it. 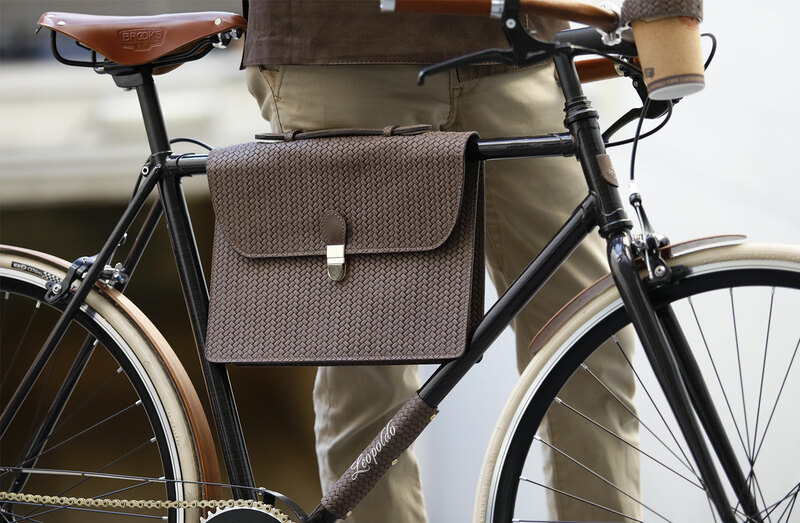 Perfectly designed for men bikes, Libeccio briefcase attaches to the frame’s top tube. Its two internal compartments allow you to hold a notebook or laptop, your mobile phone and agenda, pens, cables and wallet. Libeccio is crafted in woven leather in 4 colours and finely lined in contrasting jacquard fabric in various different patterns. 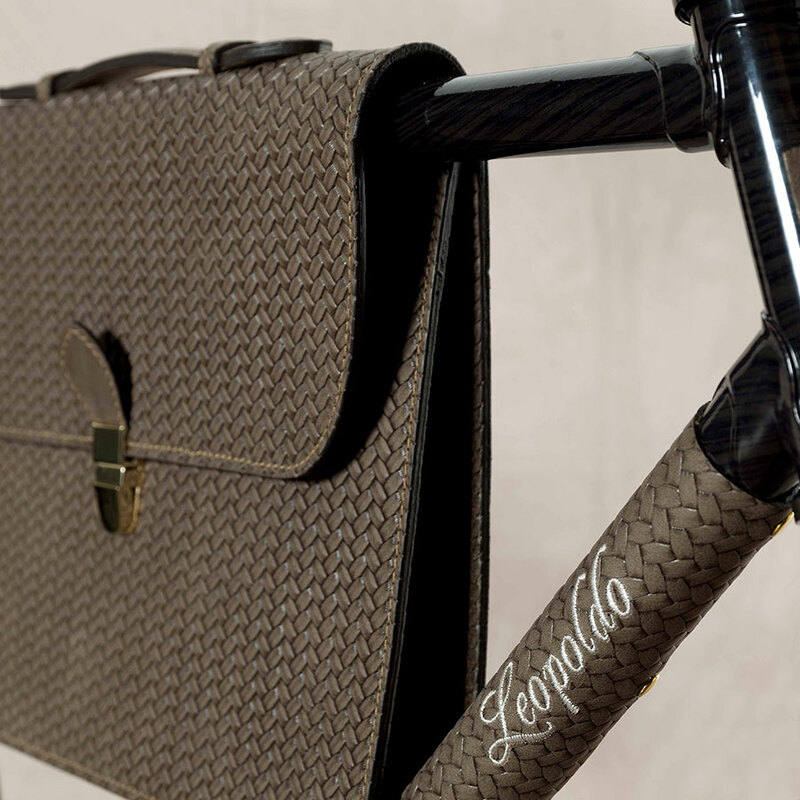 A unique bicycle frame bag to carry with you anywhere.